The horror genre had a hard row to hoe in the '90s. Sure, there were good horror movies to be found, but you had to cast a pretty wide net. In particular, mainstream horror releases were all but extinct by the end of the decade. The horror genre has always been cyclical, but there's no debating that it was about as close to occupying its own pine box by the end of the 90's as it's ever been. Then a funny thing happened - literally. Aspiring screenwriter and horror buff Kevin Williamson wrote a script called Scary Movie that paid knowing homage to the threadbare conventions of the slasher movie genre. His screenplay became the subject of a bidding war, and Miramax ultimately won said war. 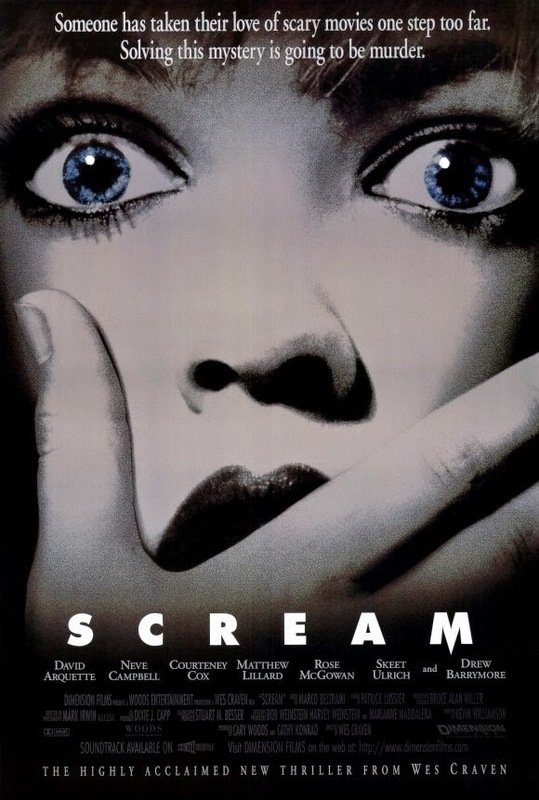 Iconic horror movie director Wes Craven was persuaded to direct, a talented group of attractive young up-and-comers was cast, and Miramax brass decided to change the project's name to Scream (1996) at the eleventh hour to better reflect the nature of this unprecedented hybrid of horror and comedic satire. Scream was released on December 20th, 1996 in a bold attempt to counter-program the typically family oriented Christmas season. It seemed initially that the attempt had failed, as Scream opened to a relatively soft $6 million take and finished second behind Beavis And Butthead Do America. That's when the funny thing happened. Rather than falling off sharply in its second weekend of release - the historically proven norm for horror releases both then and now - Scream began to gather steam. It's box office actually improved in its second week, and it continued to improve for several weeks thereafter. When all was said and done, Scream worked its way to a total U.S. gross of over $100 million. Not coincidentally, the long moribund horror genre finally came off life support at roughly the same time. If you don't think Scream almost single-handedly resuscitated the horror genre, you either weren't around at the time, or you weren't paying attention. Scream is plagued by the same oddly horror-centric scenario as Halloween (1978). Namely, it's a stunningly original and successful release that's remembered more for the scads of inferior copies it "inspired" than for its own considerable merit. That's the price trailblazing horror movies often pay for doing something so indisputably right that all the hacks see only dollar signs. For reasons I've never fully understood, Scream is often derided by genre fans. Is it the self-reflexive humor that prompts the abuse? Maybe some serious horror fans just can't take a little good-natured ribbing at their own expense. The clever, airtight script was clearly written from a place of love, so why the offense? Scream is certainly more respectful of the genre it reverently mocks than dross like the seemingly never ending Scary Movie franchise that appropriated the name. Maybe Scream is maligned by taste-makers because it isn't scary. Well, I call shenanigans on that. The opening segment featuring Drew Barrymore's character Casey Becker being terrorized by the perversely playful Ghostface killer is still as effective a chunk of horror as the genre has ever produced. The already savaged and dying Becker crawling unheard across the grass toward her still oblivious parents is chilling. Director Craven doesn't pull any punches with the horrific elements of the script, and if you think otherwise then you owe it to yourself to revisit Scream. Scream revitalized a flagging horror genre when it needed it most, and hat's off for that. It put a fresh spin on one of the most hackneyed and trivialized sub-genre's in horror. It delivered a subversive blend of winking self-awareness without sacrificing the horror at the movie's core. 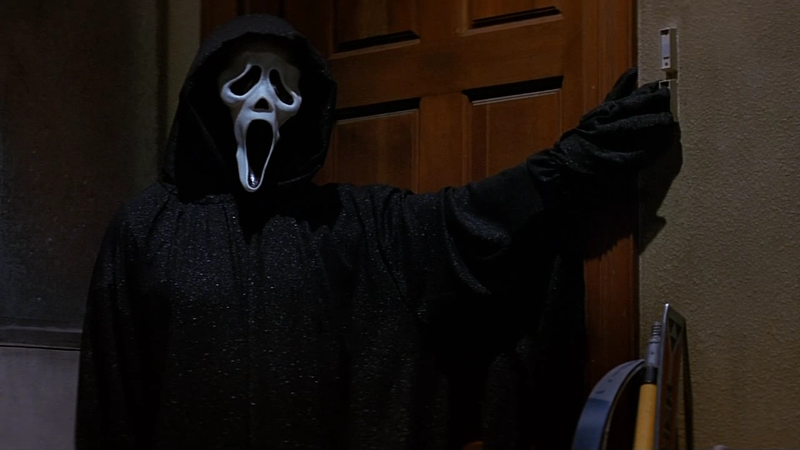 Best of all - in what I think is one of Scream's most overlooked accomplishments - it made us all give a damn about the good guys again instead of just rooting for them to be struck down by the masked killer. I love the fact that different individuals don the mask in each successive entry, and it's the good guys that won't stay down rather than the bad guys. David Arquette's stalwart Deputy Dewey should rightfully have died several times throughout the course of the franchise, and yet he always shows up again for the next sequel. And because we love the character, we allow it, just as we allow the bad guys like Michael, Jason, and Freddy to keep coming back even though we know better. That completely flips the script, and the Scream franchise is the better for it. 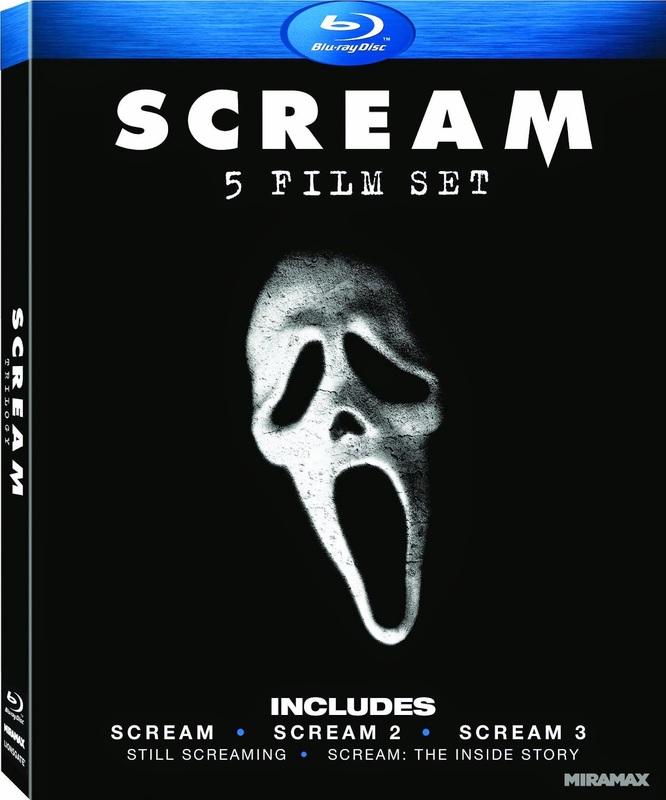 If it's been a while since you last watched Scream, do yourself a favor and pick up the first three movies on Blu-Ray. They're packaged together in a single set that's only ten dollars at your local Target. If your a completist, you can pick up Scream 4 (2011) for only five bucks more. Seriously, where else are you gonna get that much entertainment for only fifteen bucks? Turn down the lights, pop yourself some popcorn, and let yourself enjoy a horror movie again. I've been meaning to pick up that set. Don't know why I haven't yet. Great writeup, it's been far too long since I've watched the Scream movies, so I'm way overdue for a rewatch. I've always defended the Scream franchise against the haters, but I was pleasantly surprised but how much I enjoyed revisiting it. I'm really looking forward to watching the other three in the near future. Incidentally, the feature length doc included with that set entitled Still Screaming was top-notch, too. The acid test for me now: if I immediately flip open the laptop to write after watching something, it's a keeper. I will have to contest you on one point. While Scream did resuscitate the horror genre, I don't give it as much credit as being so groundbreaking. Yes, it did inspire imitators such as I Know What You Did Last Summer and a myriad of other films. The fact that it proved profitable but unfavorable with staunch horror fans comes from the fact that it poses no supernatural element. Yes, the Drew Barrymore scene at the beginning did shock audiences. However, I seem to recall a small film from 1960 that surprised audiences by killing off a leading lady named Janet Leigh in the early frames of the film. I do give Scream credit for many different and wonderful variations on the suspense film. And, hell, Rose McGowan never looked so great as she did with red hair. The fact is that the missing supernatural element prevents me from embracing this as anything other than a drama. With the amount of successful sequels and spinoffs and parodies, Scream gets my cinematic nod. There hasn't been a Halloween since its release that I have not seen someone in a Scream mask darting about. So that's my two bits. Oh, the fact that Wes Craven saved Miramax with these movies makes me laugh heartily. You tryin' to start a fight, buddy? Seriously, though, while the notion of killing off the presumed star of the movie early in the game - a notion, I gather, that was more Barrymore's in this case than anyone else's - clearly pays homage to Psycho, I'd still argue that the implementation here is fresh in that it tweaks the conventions specifically relating to the slasher movie sub-genre. After Halloween - the movie that largely established the slasher movie template, as well as the notion of the "final girl" - we all knew Jamie Lee Curtis would be the final girl from the outset when we saw her again in Prom Night and Terror Train. That idea of the final girl was one that first took root long after Psycho and was specific to the slasher movie sub-genre in particular. Psycho certainly contributed greatly to many of the conventions that ultimately defined the slasher movie, but it is not itself a slasher movie. Given that Barrymore was the only real "marquee" name in Scream, and given that Scream was commenting on the slasher movie sub-genre in particular, it was original and unexpected that she would bite the dust before the opening credits, Psycho notwithstanding. I'd also argue - owing largely to much of the same reasoning above - that Scream is a horror movie through and through. The majority of the slasher movies that Scream is commenting on bore no supernatural element. I'd characterize Friday The 13th, My Bloody Valentine, and The Burning as horror movies, and none of them bear supernatural trappings. Even Halloween only hinted at the supernatural. Surely, you consider Halloween a horror movie? I'd say one of the primary aesthetics that makes the slasher movie a sub-genre of horror rather than thriller is the overly elaborate and graphic representation of the violence on display, which Scream has in spades. Scream was groundbreaking in the way that it commented on the experience of viewing a horror movie while still being a horror movie itself. It wasn't groundbreaking in terms of its particulars, but it was groundbreaking in the way that it examined the fact that we all know the "rules", but we're willing to play along anyway. Do we like scary movies? Of course we do. Scream held those scary movies up to the light and examined just exactly why we do. It showed viewers how complicit we all are in the overall effectiveness of a scary movie, and it gently chided us for being so willing to play along. That commentary being weaved so expertly into the very fabric of exactly the kind of movie it's commenting on is what was so groundbreaking. Up until Scream, slasher movies thought they were obliged to keep a straight face for the scares to work. Scream proved otherwise. I'm still a little skittish about doing podcasts, Vern, but I could probably be persuaded. Do you record via Skype? Let me know when, and I'll see if I can't arrange it. Thanks for the invite!